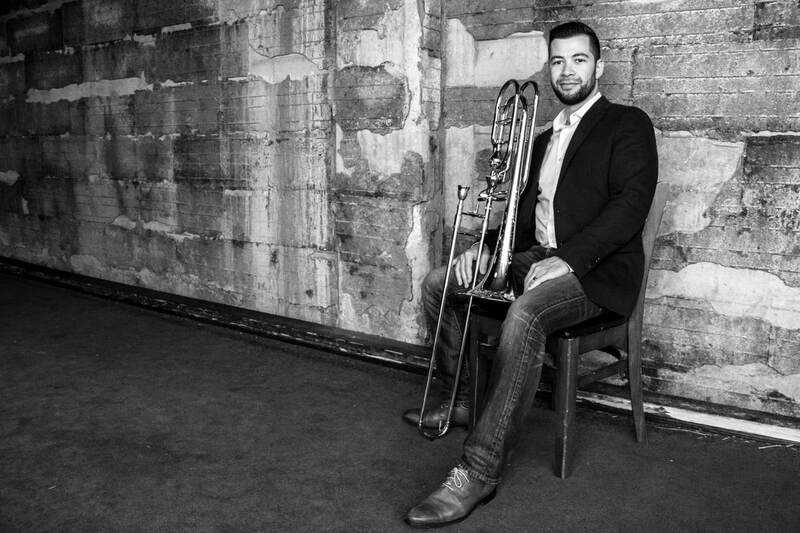 Brian Hecht, a native of Dallas, Texas, joined the Atlanta Symphony Orchestra as Bass Trombone in September 2013. Prior to joining the Atlanta Symphony, Mr. Hecht held the bass trombone position with the United States Navy Band in Washington, DC. Brian has been a featured soloist with the Atlanta Symphony Orchestra, U.S. Navy Band, U.S. "Pershing's Own" Army Band and Orchestra, the Armed Forces Octet at ITF 2018, Kennesaw State University Wind Ensemble, STS Professor's Choir, University of Texas Trombone Choir, University of Georgia Trombone Choir, University of Central Arkansas Trombone Choir, Texas State University Trombone Choir, Penn State Trombone Choir and the Georgia Brass Band. He can be heard on several of the U.S. Navy Band's CD’s and DVD’s as well as the Atlanta Symphony Orchestra's CD's "Vaughan Williams: Dona Nobis Pacem" (found here) and "Christopher Theofanidis' Creation/Creator" (found here). He has been the recipient of numerous performance awards including first prize at the Zellmer-Minnesota Orchestra Trombone Competition, Edwards Big 12 Bass Trombone Solo Competition, and the ETW’s Trombone Quartet Competition. In addition, he was a finalist in three major international competitions including the ITA’s Edward Kleinhammer Competition, the Donald Yaxley Competition, and the International Trombone Quartet Competition. Brian received his Master of Music degree from Northwestern University, where he studied with Michael Mulcahy, Charles Vernon, and Peter Ellefson. He earned his Bachelor of Music degree from The University of Texas at Austin, where he studied with Dr. Nathaniel Brickens. Other influential teachers include Jon Bohls of the Dallas Metroplex area and Charles Villarrubia at UT-Austin. Brian has been on faculty at the Southeast Trombone Symposium in 2014, 2015, 2016 and 2018. He was a Featured Artist at the 2018 International Trombone Festival in Iowa City, IA. In addition, he has served on faculty at such notable festivals as the 2017 Jinbao International Music Festival in Tianjin, China, and the 2018 Jeju International Wind Ensemble Festival. ​He plays the S. E. Shires "Lone Star" model exclusively.